Claudius, the future Roman Emperor, writes his autobiography for posterity. He consults the Sibyl who prophesies in verse the fall of the Roman Empire and describes the kind of men who will assume the throne before its fall. Because Claudius has a severe stutter his family considers him unfit for administration. Still, he is well-respected as a historian. Claudius describes the Julio-Claudian dynasty until his accession to the throne, emphasizing the influence of Augustus’ wife Livia on the fate of the empire. He insists that there are two kinds of Claudians – the good and the bad. But even the best Claudians are tyrants and self-professed gods. Inbreeding results in a highly complicated family tree; characters have similar-sounding or even the same names. Marriage is almost always a back-stabbing institution. Robert Graves’ I, Claudius is not only an imaginative retelling of the history of the life and family of Emperor Claudius but a commentary on Ancient Roman historiography. I actually read this book six months ago, but I never wrote a review for it. This is definitely the greatest work of historical fiction I’ve ever read. The writing is gorgeous, the characters are complex, and the story is exciting. I spent hours drawing a family tree to keep straight all of the characters (a family tree at the start of the book would have been nice), but I did not want to give up on the book. Graves does so much more than tell a good story. He makes insightful commentaries on the politics of language and Ancient Roman historiography (here is a sample passage). Historians today try to reproduce a historical event as accurately as possible, but this was not the goal of ancient and medieval historians. History was not only written by the victor but was deliberately distorted by him. In one scene, two historians fight over the purpose of writing and reading histories. 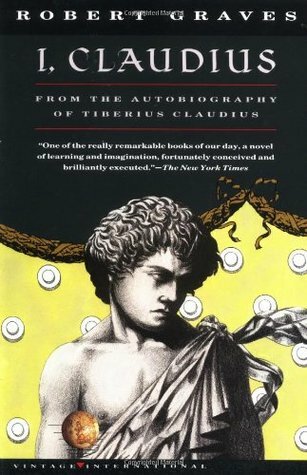 Before reading the sequel, Claudius, the God, I will reread I, Claudius because I am sure that I have forgotten many details in the book. After finishing the books I will watch the award-winning 1976 mini-series. Even if you normally dislike historical fiction I suspect you will enjoy I, Claudius. It is incredible how much violence and deception can exist in one family! In the aftermath of the Jacobite rising of 1745, recently orphaned David Balfour receives a letter from Mr. Campbell, the minister of Essendean, to give to his uncle Ebenezer Balfour of the House of Shaws. It soon becomes clear to David that the Shaws have a bad reputation in Scotland. No one is comfortable to give David directions. When he reaches his uncle’s house, Ebenezer hesitates before accepting his nephew. He forbids David from asking questions about his father and generally seems displeased to have David in his home. But it is only when Ebenezer sends David to fetch his inheritance from the top of a tower without any light to guide him that David realizes that his uncle wants him dead. The tower is unfinished and the ladder leads to nowhere. He nearly avoids falling to his death. The next morning, Ebenezer has him kidnapped by a ship headed to the Carolinas. On the ship he meets Alan Breck, a Jacobite, who tries to convince the captain of the ship to drop him off on the mainland. When Alan learns that the crew is plotting to kill him, he and David work together to kill the assailants. Although David is a Whig, perilous circumstances cause him to befriend Alan and to help him in his quest to bring justice to the Highlanders of Scotland. Kidnapped by Robert Louis Stevenson highlights the tension between the Highlanders and Lowlanders in Scotland in the aftermath of the Jacobite rising, making it one of the most famous works of Scottish historical fiction. I have absolutely no knowledge of Scottish history, so the Historical Note at the start of the book gave me a much-needed introduction to the Jacobite rising. In many ways Kidnapped reads like an adventure novel for young boys. The story line is simple and the conclusion quite predictable. Still, David and Alan’s relationship is quite interesting. Although their friendship waxes and wanes throughout the book Alan and David know that they need each other. Alan is a bad man, but the reader cannot but love him as a character. He has a lot of affection for the youthful David. I wasn’t overly impressed by the book, and some of the dialogue was poorly written, but it was much more memorable than Treasure Island, and it has made me want to learn more about the history of Scotland. Murder in the Cathedral by T.S. 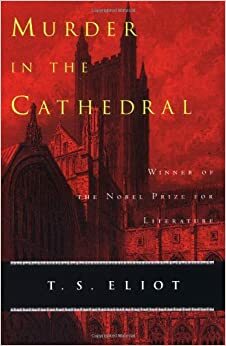 Eliot is a play in verse about the murder of Archbishop Thomas Becket in 1170 in Canterbury Cathedral. Caught up in one of the perennial conflicts between pope and emperor, Thomas Becket is exiled to France. Upon his return to England, four tempters try to prevent him from assuming his role as archbishop. They remind him of the power he had as Lord Chancellor to Henry II prior to his ordination. In view of more pleasant alternatives, why risk martyrdom? Thomas Becket’s tomb was the site of a popular pilgrimage in the late Middle Ages. He was venerated as a holy archbishop who defended the Church against the encroachments of the State. Becket represented not only a good person but a man who defended a particular model of Church and State. Eliot rightly explores Becket’s murder from this latter perspective. Becket is not humble and peace-loving but arrogant and power-seeking. I really enjoyed this play. Despite its short length, the play packed a punch. It explored questions relating to Church and State that are debated still today in England. I also loved the style. I know that not everyone will enjoy a play in verse, but the repetition of imagery and language heightened the drama. The critics are right to compare this play to Saint Joan by George Bernard Shaw. They are both excellent! “Peace. And let them be, in their exaltation. Don Carlos, the Prince of Spain, is the son of the tyrannical King Philip II. At the start of the play, King Philip has commissioned the Duke of Alba to violently impose Spanish rule on Flanders. Carlos hates his father for two reasons: for marrying Elizabeth, a woman whom Carlos loved first, and for his ruthless political policy. With the help of Rodrigo (the Marquis of Posa), Don Carlos attempts to stop the Duke of Alba from enslaving Flanders. In the background is the passionate love of Elizabeth for her step-son. Mike Poulton’s adaptation of Friedrich Schiller’s Don Carlos is a fast-paced, intrigue-filled play centered on the tumultuous relationship between an ambitious monarch and his naive son. I have never read the original play by Friedrich Schiller or seen a performance of Poulton’s adaptation, so I don’t know how this book stacks up against other versions of Don Carlos. However, I did enjoy this version. While some of the characters (such as Elizabeth and especially the Cardinal Grand Inquisitor) were not as well developed as I would have liked, the intrigue kept me engaged. This was definitely a page-turner. Don Carlos is a visionary, but because of his age, he is very short-sighted. He doesn’t really understand the forces at play in his father’s court. The whole play is in verse, but this speeds up rather than slows down the action. My only major criticism was the pacing. While most of the play was at a reasonable but engaging pace, the denouement was too steep. The story wrapped up too quickly. It would be interesting to compare this adaptation to the original Schiller play. Maybe there is more character development in the original. 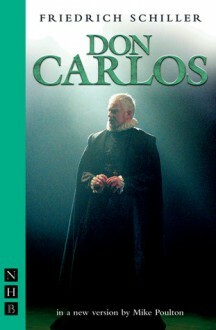 Regardless, I enjoyed Don Carlos and recommend it to anyone interested in a light historical drama. why do the Heavens punish me with him? to displease this King with me? in a single chain of love. Impossible equation! Adam attends a preparatory school, befriends a boy named Perkin, and secretly cares for a stray dog named Nick. But Adam is not like any other child at the school. He is the son of Roger Quartermayne, a well-known minstrel in the kingdom. Adam dreams of being like his father and living life on the road. But he never expected the journey to start so soon. All of a sudden, Adam is separated from Roger and Nick. Over the course of the story, Adam takes an unintended pilgrimage through thirteenth century England, meeting new places and new faces at every turn of the road. Adam of the Road by Elizabeth Janet Gray is about one boy’s search for his father and a purpose in life. Good historical fiction is hard to find. Many bestsellers are sensationalist but can hardly be considered historical. Adam of the Road is quite the opposite. The sights and sounds of thirteenth century England come alive in this children’s book; the time period is described in such a way that the reader feels fully immersed in the world. The writing is as simple and unassuming as Adam’s journey. But despite the elegance of the narrative, the story lacks a plot or a purpose. I know that Adam of the Road is supposed to be more about the journey than the end goal, but the journey is quite underwhelming. The people Adam meets don’t really leave a lasting impression on him. To be perfectly honest, it was a boring story. I love a good character study, but Adam isn’t a very compelling character. It is never clear how the people he meets contribute to his personal growth. Overall, I thought the book was OK. My expectations going into the book may have been too high, but I wasn’t really wowed by anything. Adam of the Road won the Newbery Medal in 1943. I can certainly understand why the Newbery committee thought this book was deserving of the medal. With respect to historical accuracy and plausibility, this is historical fiction at its finest. I just did not find it very memorable. This book counts toward the Newbery Medal Challenge. Thomas More had an identity that was not determined by the swiftly-changing values of his society. A Man for All Seasons portrays More as a brilliant statesman who loved life and law, but when push came to shove, defended what he believed. This is the second contemporary play I have read about a Medieval saint ( I read Saint Joan by George Bernard Shaw in June). Both plays offer a refreshing portrayal of the heroes. No longer are More and Joan of Arc depicted as stock saints – perfect individuals who have no fear of death. In A Man for All Seasons, Thomas More respects the law and turns to it for guidance. Although he is a staunch Catholic, More admits that he doesn’t always know what God wants of him. Like Bishop Cauchon in Saint Joan, Henry VIII in A Man for All Seasons is not a purely evil man. He has understandable objections to the Pope’s conduct. Pope Leo X supported sins when they were convenient (Henry VIII’s incestuous marriage to Catherine of Aragon appeased the Spanish) but denounced them when they weren’t in his favor. The Pope was politically motivated like Henry VIII. A Man for All Seasons underlines the Church-State tension. The most interesting character in the play is The Common Man. The Common Man introduces each scene but takes on such roles as a servant, a boatman, a spy, and eventually as Thomas More’s executioner. As the play goes along, the Common Man assumes more unpleasant and controversial roles in the kingdom. Money and fame are temptations. Unlike Thomas More, the Common Man has no integrity of character. He will do anything to climb the social ladder. I laughed at More’s sarcastic jokes, sympathized with his personal struggles, and was inspired by his final words to his accusers. Thomas More is diplomatic throughout the play. Even before his family, he does not insult the king. A Man for All Seasons is an excellent portrayal of a man whom I’ve admired for years. At the start of the novel, Crispin, referred to as Asta’s Son, is attending his mother’s funeral. Crispin’s life has hit rock bottom. Although his family had always been burdened by heavy taxation and starvation, Crispin leaves the funeral with the comforting knowledge that John Aycliffe, Lord Furnival’s steward, wants to kill him. Crispin’s mother had always been treated as an outcast on Furnival’s land, but her son had taken this for granted. They were peasants after all. But shortly after the funeral, Crispin overhears a conversation between Aycliffe and one of his servants. Upon seeing the boy, the two men chase the boy with the intention of killing him. Crispin doesn’t know why he is labeled a Wolf’s Head, but now anyone can kill him without risking any retribution. But why would anyone want him dead? He is only a peasant boy. Crispin runs to the local church and asks Father Quinel why he is being pursued. Quinel admits that there is a mystery surrounding his father’s life, and promises to reveal it to Crispin the next day. All he tells the boy is that his real name is Crispin and that his mother knew how to read. But the next day, Father Quinel is nowhere to be found. Instead, Crispin finds himself running away once again from Aycliffe and his men with only his mother’s lead cross for protection. At a dilapidated cathedral, he becomes the servant to a jester named Bear. Unlike the servitude Crispin is used to, his new master treats the boy more like an assistant than a servant. Bear and Crispin together take the road to the village of Great Wexly, John Aycliffe close at their heels. Crispin: The Cross of Lead by Avi is the story of a 14th century peasant who suddenly and mysteriously becomes the most threatening person in all of England. Crispin: The Cross of Lead is the first book of the Crispin Trilogy, and it was a phenomenal read. Although I knew the mystery all along, the book is intended for middle-grade children. Children at that age are still learning to identify tropes and imagery. For them, the ending of Crispin most likely comes as a surprise. Still, I enjoyed the novel. There have been countless novels set in the Middle Ages. However, so many portray Medieval Europe inaccurately or stereotypically. Crispin: The Cross of Lead does neither. Finally, I have come across a character who finds strength in his faith. Avi doesn’t bore the reader by including pages of facts about the 14th century. Rather, the descriptions of the time period are elegantly weaved into the action of the story. Crispin is one of those works that should be taught in schools. Not only is it fast-paced and action packed with very likeable characters, it has great educational value. The book raises some important questions about power, wealth, and poverty that can serve as talking points for some great class discussions. 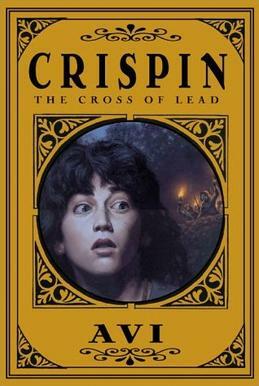 Crispin: The Cross of Lead definitely deserved the 2002 Newbery Award for being both enjoyable and educational. I look forward to reading the second and third books in the trilogy, Crispin: At the Edge of the Wood and Crispin: The End of Time.